Contact centers, also known as call centers, have existed since about the mid-1960s, when the first Automatic Call Distributors (ACDs) made it possible to route a call automatically faster than a human operator could. In the fifty years since, mechanical switches have been replaced by silicon chips, and most recently, we have seen a switch from on-premise systems to hosted services. The SaaS (Software as a Service) model makes it possible for the experts at the hosting company to stay on top of the latest hardware, software and call center automation improvements while you focus on your business. Today we look at two major hosted contact center providers that will make it easy to make and receive a large volume of calls. Five9 released the first version of their virtual contact center software in 2003, and since then they’ve grown to a publicly traded company that serves over 2,000 customers worldwide. 8×8, Inc. came early to the VoIP party in 1999, although the company was founded way back in 1987 under a different name selling different products. 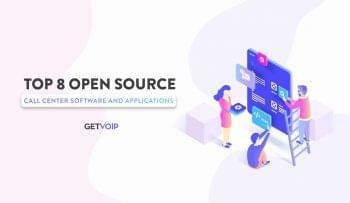 Like Five9 they are a publicly traded company, and they are one of the top VoIP providers with over 40,000 subscribers. 8×8 and Five9 both offer an impressive feature set, but like all VoIP providers, most of the features available from one provider are also available from another. Features like the ones listed below are powerful tools for businesses to make it easier to reach out to customers and proactively attract new customers and address unhappy customers’ concerns. Call Recording – Record all calls for both training and legal protection. Conference Call – Communicate with many agents at once. Skill-Based Routing – Matches the customer with the agent based on skill (e.g., language, experience, rather than availability alone. Interactive Voice Response – Guides the inbound customer to the right department using voice recognition. You can also use your dial pad. Preview Dialer – Agents are able to see the list of names to call and skip ahead. Remote Workers – Allows agents to work from anywhere, including their own home. Screen Pops/CTI – While the agent is on a call, a customer’s profile appears on the screen. Whisper/Barge – Allows the supervisor to listen to an ongoing call and either talk so only the agent can hear, or talk so both the agent and customer can hear. Workforce Optimization Software – Analyzes customer and agent interaction data to increase successful calls and improve agent skills. Mobile Support: Customers can use their phones to read the IVR like reading a text or web app, rather than hear spoken prompts. Predictive Dialer: Software dials multiple numbers at once and connects to the agent as soon as a real person answers the line. This saves the agents the time it takes to dial the number and wait for a ring, which can add up over a period of a day. Progressive Dialer: As soon as one call is being disconnected, the next number is already dialing. This severely reduces idle time for agents. Supervisor Mobile App: An iPad app that puts the supervisor control panel on a tablet. A supervisor can walk the room with the tools he needs under his arm. Desktop Sharing: The customer allows the agent to temporarily take control of his computer, so the agent can directly access important files. The customer and the agent both see the screen, and the customer can use his own mouse or disconnect at any time. eIVR (Enhanced IVR): Can access data from multiple sources and can support speech-driven applications. Global Presence: Data centers around the world to eliminate call latency from most locations, system design to allow agents around the world to look as a single unit. Standards Compliance: Eliminate the need for costly compliance review by leveraging our externally validated HIPAA / FISMA or other compliances. Mobile Wallboards: A mobile app (Tablet or mobile phone – Apple or Android) that allows supervisors instant insight into the status of the contact center. Picking up the phone is now just one of the many ways that customers can get in touch with a company. Agents are now able to proactively reach out to customers on the web. IM/Chat – When customers go to the company’s website, you can contact the customer over a chat. Some customers prefer to use chat rather than the phone, and a single agent can be in several chats at once. It also helps that because many customers ask the same questions, you can have canned answers ready to copy and paste into the chat window. Social Media – The software can scan major social media sites for @replies, #hashtags, mentions of the company, and so on, so the company can connect with the customer and possibly thank him or fix a problem. You can even set your filters to detect competitors’ names to know what potential customers think of them too. Callback – Rather than wait on hold, the system will hang up and call the customer back when the agent is available. Web Callback – A variation on click-to-dial, the customer enters contact info on the web site, and the agent calls back either immediately or at a scheduled time. Rather than wait on hold, the agent calls the customer, and the information is already on his profile. Mobile – Instead of audio prompts, customers can use their phones to press and swipe the same type of IVR menus, just like their favorite apps. The mobile IVR also has a built-in call or chat option to connect with a live agent. 8×8 Virtual Contact Center subscribers can call 1-866-975-2273. They are available Mon-Fri 24 hours, and Sat/Sun 6am-5pm PT. You can also chat with 8×8 support Mon-Fri 24 hours. Premium customers have dedicated Technical Account Manager as well as access to 8×8 team for better understanding of new capabilities, how to grow their business, and to provide product input. Five9 customers can get basic support 24/7/365. Premium customers get a dedicated Technical Account Manager, as well as time devoted to them from the Five9 team to help them better understand new features and help them grow their business. The organization responsible for setting the standard of safety, security, and reliability of a hosted service is The American Institute of Certified Public Accountants. In order to handle important documents like financial and medical records, it must meet a standard called Statement on Standards for Attestation Engagements no. 16, or SSAE 16. Both Five9 and 8×8 meet those standards. They both follow similar protocols of having geo-redundant server farms with high physical and network security. They both also adhere to strict standards and comply with Sarbanes-Oxley, and HIPAA rules. Both providers are equally capable of keeping your data safe from prying eyes. According to their own websites, Five9 reports an uptime of 99.99% and 8×8 reports an uptime of 99.997%. Five9 has no external compliances and if you search their website you will not find HIPAA anywhere. 8×8 never brings systems down for maintenance or upgrades. Five9 reserves a four hour maintenance window every week. 8×8 has a Patented process to ensure that upgrades take place without impacting the customer. Five 9 had a single outage in March of 2014 that impacted many of their customers for over 10 hours. Five9 offers a free trial. If you use 8×8 and decide to cancel your service, you might be on the hook for activation or cancellation fees. For more details on the trial and/or demo, call the sales department directly. Imagine, if you will, a football player having a footrace with a track runner. The football player, in this situation, is no stranger to running. But the track runner has spent more time specifically running, and less time developing other skills that would be useful on the gridiron, but aren’t necessary for running alone. 8×8 is big. They are undoubtedly much bigger than Five9. 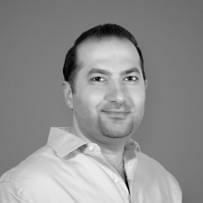 But, Five9 was built from the ground up to be a contact center solution. So, it fits that if your only goal is to be a contact center, then Five9 is your best fit. 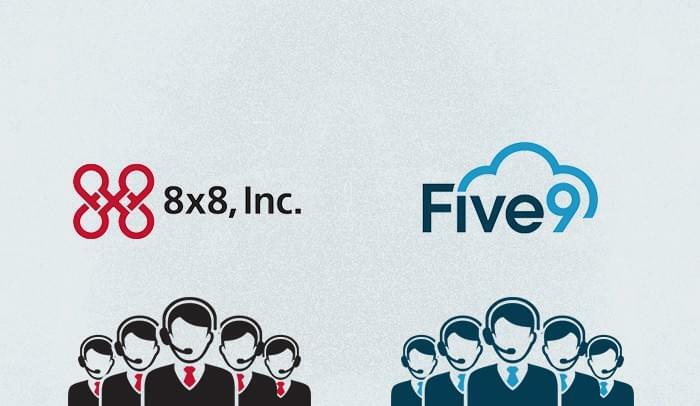 Five9 has features specific to contact centers, which 8×8 can’t match. Five9 has a specific vision of how they think a contact center should work. I imagine a supervisor walking around a team of agents, leading and motivating them as they connect with customers, and it’s likely their vision is pretty similar. 8×8, on the other hand, will give you a phone, but they don’t give you a vision. 8×8 has strengths that Five9 can’t touch. But contact centers are a specialty, and 8×8 is a generalist. So for this reason, I prefer Five9 for your contact center. Ability for agents to access experts in the company to provide answers to difficult questions and to increase first call resolution. We have a team with many many years in the contact center space In addition to Engineers, Product Managers, and Product Marketing people in the company who are experts in the Contact Center we have field people with many years of contact center experience across our Account Reps, Sales Engineers, Solutions.